The RedNMX™ system is the latest generation of the fire department records management software from Alpine Software Corporation. The RMS contains more than 50 distinct modules allowing departments to tailor a system to their specific needs. RedNMX™ is an infinitely scalable solution that easily grows with your agency's increasing needs. The system is designed to be the most integrated RMS on the market today. Call information from the RedNMX™ Dispatch module or your regional dispatch center is used to begin the NFIRS reporting process, be sent out to mobile units in real time, allow for automated biometric attendance taking, alert responders via text messaging, generate rip and runs, track and provide real time reporting of responding members and more. 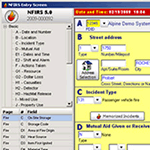 NFIRS 5.0 is a modified and improved National Fire Incident Reporting System which has been designed as a tool for fire departments to report and maintain computerized records of fires and other fire department incidents in a uniformed manner. The RedAlert™ NFIRS 5.0 Module is fully approved and is easy to use. The program has on-line validation to assist firefighters in completing incidents. The only RMS to offer the look and feel of the hard copy NFIRS report. 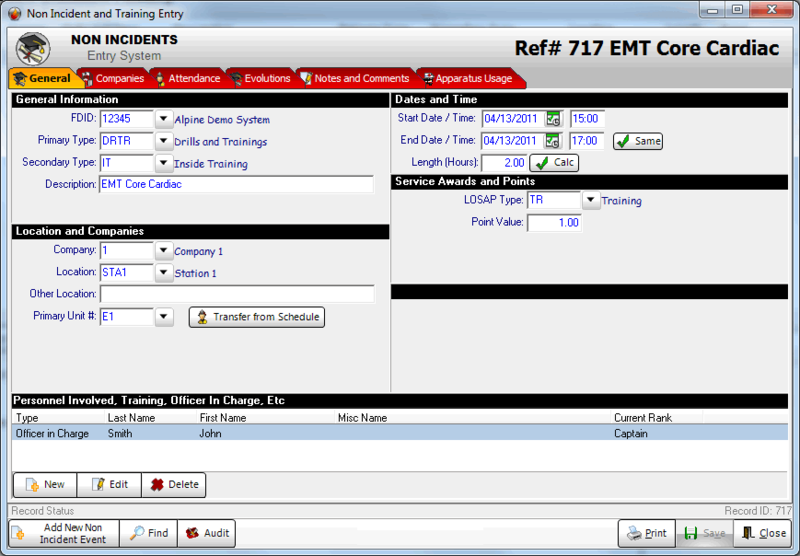 The RedAlert™ Personnel Management Module manages membership/personnel information including medical records, Inventory, Incident and Event Attendance, Scheduling Training requirements, and other pertinent data. Access to medical and training information is instantaneous. 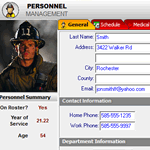 The RedAlert™ Personnel Management Module makes it easy to keep accurate and updated records on all of your firefighters, administrative and other personnel. 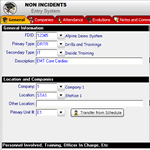 The RedAlert™ Station Event Management Module manages all departmental non-incident events, including Meetings, Drills, Work details and Standbys. Recorded events are used to generate training, LOSAP, Service Award and other event or attendance based reports. 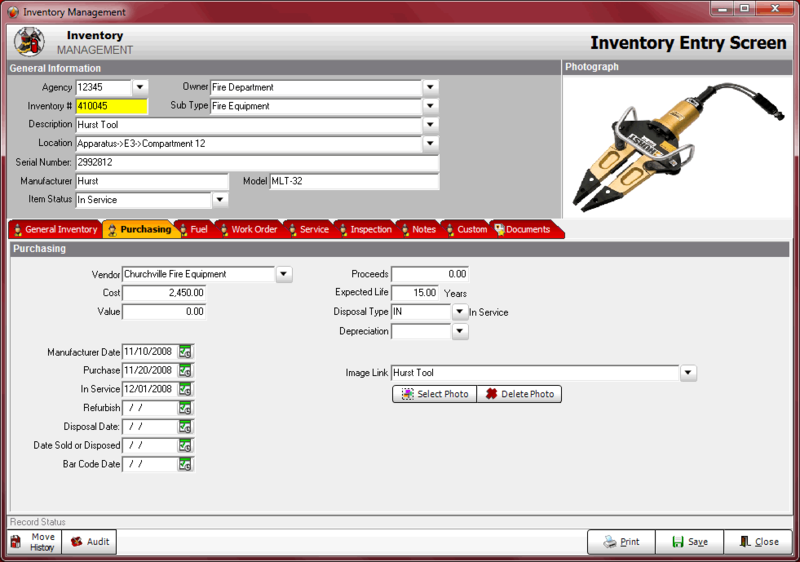 The RedAlert™ Inventory Module manages inventory, maintenance schedules, inspection intervals as well as parts and labor cost. 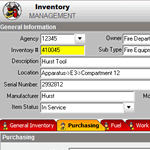 The inventory module is fully integrated with other modules for rapid, easy access to all inventory functions. Optional bar coding module available. The entire application is contained in one fast executable. Each module is integrated in a systematic and relational manner, requiring you to enter data only once and have it reflected globally throughout the system. New modules can be added as your needs expand and are automatically integrated with your existing system. And many more RedAlert™ modules are able to be customized to meet your department's reporting requirements. Alpine Software is the market leader in data conversion and product migration. 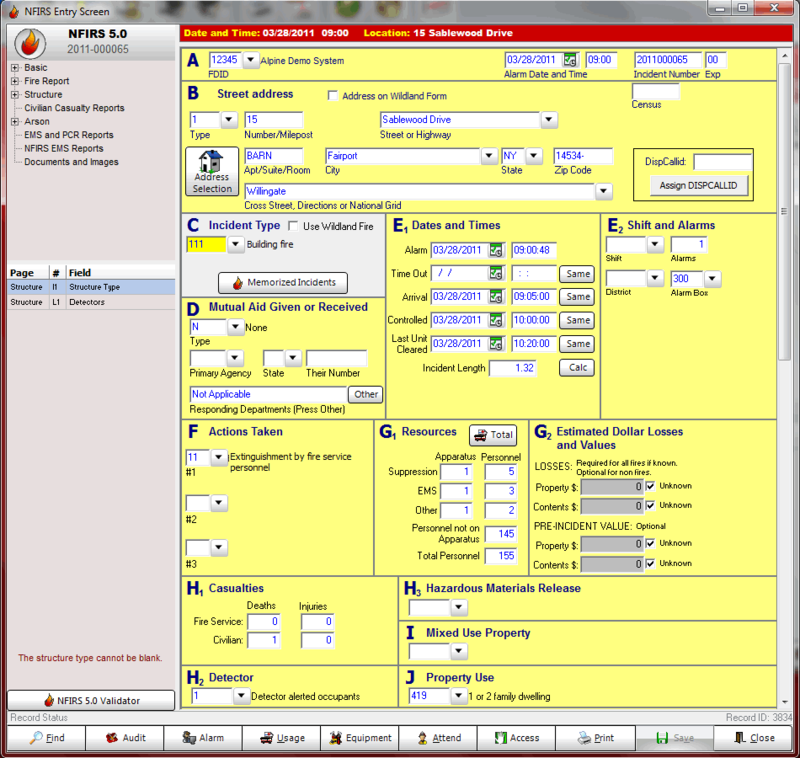 Over the years we have converted hundreds of off-the-shelf and custom written fire department management systems. 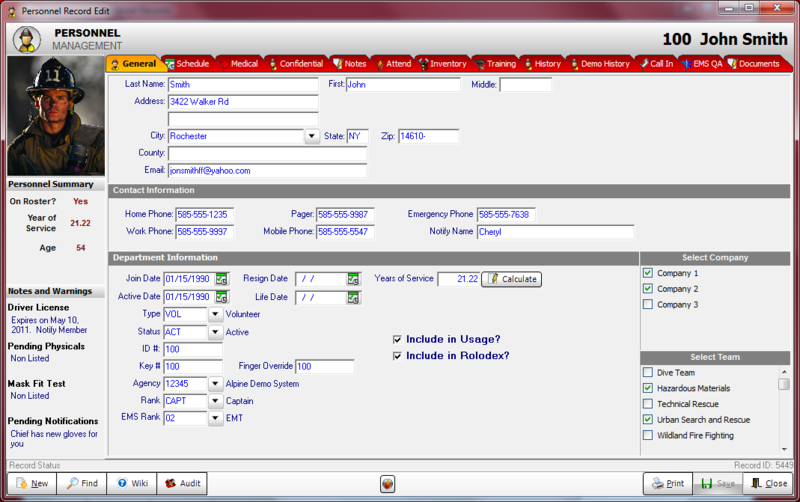 Incorporation of standard and custom features into the RedAlert™ System. Customized data fields and entry screens to best utilize the converted data. Custom reports based upon legacy system reports. Alpine Software uses the systems approach and analysis method for implementing the RedAlert™ System. Legacy systems are divided into to their respective components and functions. Current data is mapped to the new database fields and tables. This assures that no functions or data are lost in the transition.